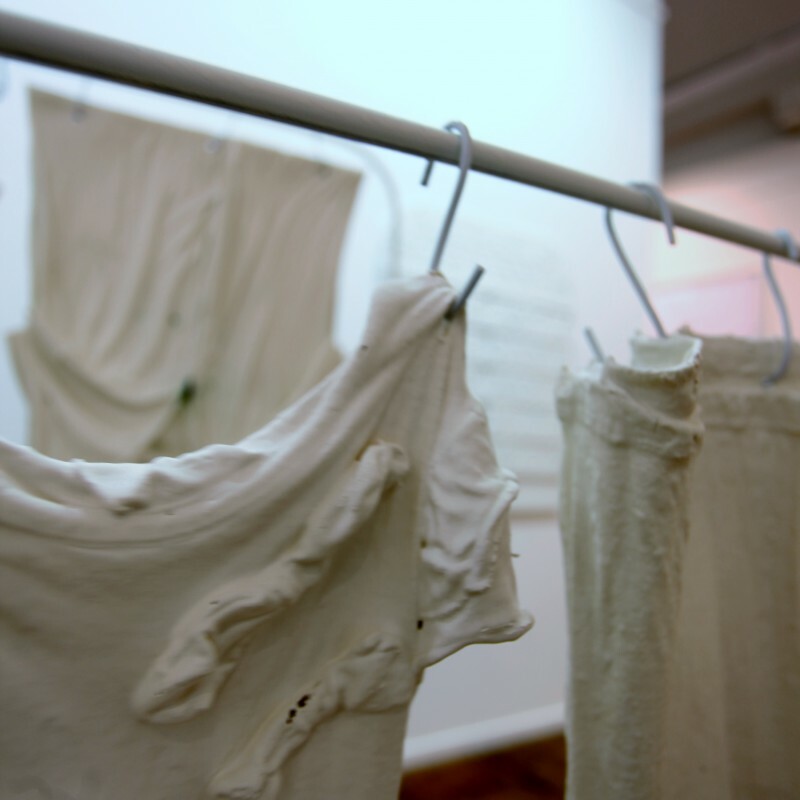 To give the statistics of ‘Kykersgetal’ a face, a collaboration with the Saartjie Baartman Centre called ‘Hanging out to Dry’ consists of racks with porcelain imprints made out of the original garments of women and children staying at the safe house of this Centre in Cape Town. The title refers to the notion of abandonment in times of trouble. Part of this project takes on the form of a symbolic ritual: the exchange of one of the old garments of an abused child or woman for a white t-shirt. The ‘old’ garment, dipped in porcelain slip, is fired in a kiln and is symbolic for the burning of the past.